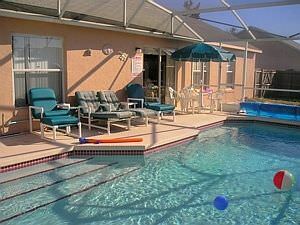 The family villa in Kissimmee for idyllic holidays in Florida. Just 12 minutes from DisneyWorld. Our beautiful 3-bedroomed villa with its own private pool is available for your vacation. 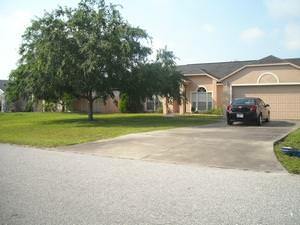 Located in Briargrove, Davenport your holiday villa is ideally situated for Kissimmee and Orlando. 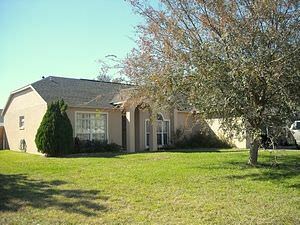 Briargrove is a peaceful location and yet is only 10 miles from Disneyworld and is close to all other major attractions. Driving time to Disneyworld is just 15 minutes, enabling you to return to your holiday villa for lunch and a quick dip in the pool before returning to Disneyworld for the evening's festivities. Briargrove is located just off US27 and Highway 192 making it a great base to explore all the shops, supermarkets and the hundreds restaurants that Kissimmee has to offer. Click here for a location map. There is a Publix supermarket just 5 minutes from your holiday villa, handy for those everyday essentials. In addition to the major theme parks, within the area you will also find activities such as golf, fishing, jet ski, bungee jumping, go-karting, horse riding, air boats and many more all within easy reach of your Orlando vacation home. In fact there are many golf courses within 10 miles of your holiday villa. 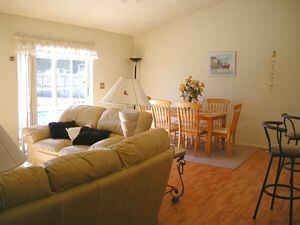 Your holiday villa features 3 bedrooms, all of which sleep 2 people. The master bedroom has a queen size bed and an en-suite bathroom with access to the pool. There is 1 other bathroom. The second bedroom has a queen bed and the third bedroom has twin beds. The large living room features a beautiful view through the sliding doors to the covered pool area. This room has a sitting area and a dining area The large pool is situated in a garden unusual for its big size. There is a breakfast bar dividing the living room and kitchen. The kitchen is fully equipped with everything you will need during your holiday. It also features a breakfast nook.